The classic trench coat is an essential wardrobe piece that instantly gives you a polished and put-together look. Whether you opt for the classic camel version, or an updated style with a fun twist, this is THE outerwear piece to own for Spring. Once you have covered the basic camel one, you can definitely branch out for an updated version as it’s the perfect lightweight jacket and the easiest and chicest way to tackle the tricky Winter-Spring transition. Below you’ll find 5 takes on this classic silhouette to wear this Spring: drapey, structured, coloured, patterned and sleeveless, with tons of options for each category at different price points in case you’re in the market for a new addition! The Drapey and Relaxed Trench: An excellent alternative to the classic structured trench that elevates your look in a soft way. The Coloured Trench: Perfect way to add a pop of colour! The Classic Structured Trench: The timeless outerwear piece every closet needs and where you should start if building a collection of different ones! 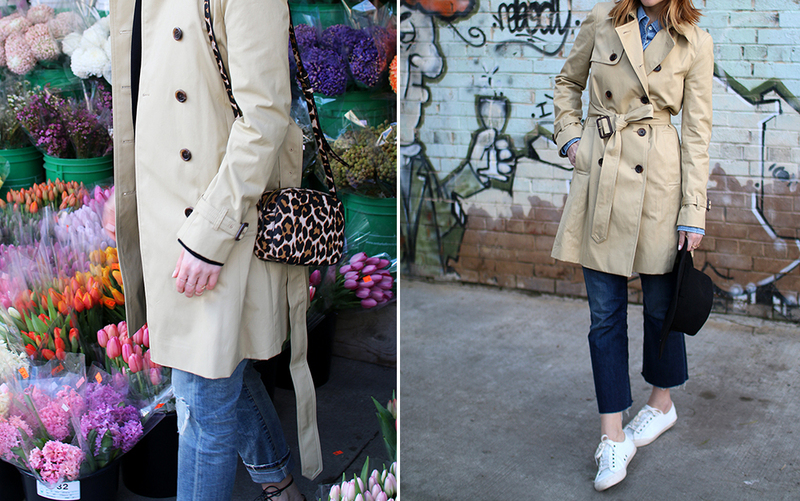 The Patterned Trench: A great way to add a printed element to your look! The Sleeveless Trench: A great transitional piece once the weather warms up! Obsession File: Spots, studs, lace..